Laptop Repair Cost is the basic thing people looking for when their laptop stop working, So here your Search END. Below are the APPROXIMATE rate, You can have an idea of rate, and you can finalize your budget. We also provide laptop offers from an online customer who brings their unrepaired laptop to us and gets it fixed. We only charged with fixing the problems, we have Free Diagnosis, no need to pay for checking issues. 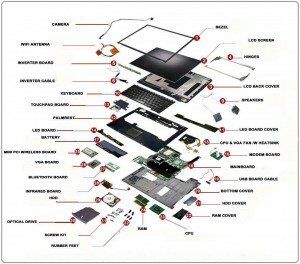 All Laptop Models come with different parts & availability. NOTE: Above Rates are subject to market rates. It’s not the standard rates. Please expect some varies in price. Shanti laptop service fixer your laptop with providing warranty for items you buy. We provide accuracy, on-time delivery, Warranty, and best services. We repair all kinds of laptop models, Dell, HP, Acer, Fujitsu. Samsung, Macbook, Sony Vaio, Lenovo Etc.